Shri Rama is an avatar of Vishnu and a popular deity for Hindus around the world. He manifested on earth thousands of years ago on the Hindu calendrical day of Chaitra sud 9. This year, that day falls on Sunday 14 April. It will be celebrated at the Mandir with a host of devotional festivities, including a ceremonial offering of food (the ‘annakut’), singing, chanting, and an arti at noon signifying the auspicious birth. Shri Rama’s exemplary life teaches values of truth, justice, valour, compassion, and other virtues of an ideal ruler, citizen, and son. His abiding consort and devotee is Sita. She exemplifies fidelity, true love, maternal perfection, faith, and other virtues of an ideal devotee. 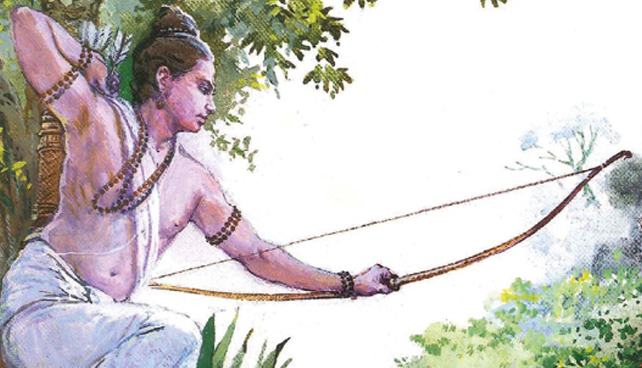 Banished to the forest for 14 years, Rama was accompanied by Sita and younger brother Lakshman. While there, Sita was abducted by the evil king Ravan. Rama heroically rescued Sita with the help of Lakshman and an army led by Hanuman, a story vividly chronicled in the Ramayan epic.